Home » Ask The Trainer Blog » Nutrition » What are the Health Benefits of Unsweetened Chocolate? It may sound unbelievable but chocolate is actually beneficial! Satiating those chocolate bars might do you more harm than good but slackening the amounts of dark chocolate you take is helpful to your health. Dark chocolate is a treat that carries no guilt with it. Instead, it carries with it health benefits. 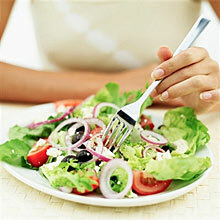 Therefore, this article will review its benefits and how you can assimilate it in your meals. Antioxidants protect from the body the damage brought about by harmful molecules known as free radicals. 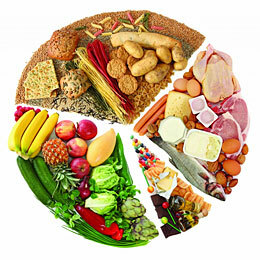 Antioxidants are mostly derived from fruits, vegetables and the whole grains. Nevertheless, chocolate is also a supplementary source of an antioxidant called flavanols. Flavanols comes from cocoa beans that make chocolate. This antioxidant helps to reduce high blood pressure, blood circulation and cholesterol. A research done by The American Heart Association, shows that more than 50,000 grownups die of, high blood pressure, every year. Some of the ways used to maintain a healthy blood pressure is by exercising regularly and marinating a body weight that is healthy. In addition, dark chocolate has also proven to reduce blood pressure. This is from a report by American Journal of Clinical Nutrition, after a research was done by Davide Grassi of The University of L’Aquila. A report from Andujar’s study claims that, flavonoids from the cocoa, help in the flowing of blood in the brain. This in return leads to an increase in the effectiveness of the brain. This chocolate also boosts the memory of the brain. 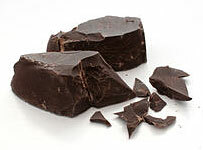 Flavanoids found in the dark chocolate also protect your arteries from plaque formation. The formation of plaque in the arteries could cause cardiovascular disease. Therefore the flavonoids make the arteries more flexible and resistant to the formation of plaque and help prevent blood clotting. Additionally, you can add some cocoa powder to the smoothie. This chocolaty flavor reduces the bitterness of a smoothie of greens. The cocoa powder should be raw. You can add it on other things like on fruits, carrots. You can also add the unsweetened chocolate on food spices such as grated ginger and rolled whole oats. This is not unusual. There are foods such as the traditional Mexican sauce made of chocolates, chilies and a few other spices. You can also add the chocolate on vegetarian chili, hummus and even eggplant caponata. You can melt it by putting hot water as you add it gradually. After this, drizzle it on something else like popcorn and add a tasty spice such as cinnamon. You can even add it to other foods. Just experiment and try new things. At the end of the day, your health is paramount. The above tips will help you enjoy chocolate but now, in a healthier way. You will not only enjoy the chocolate but also there will be healthy benefits you will obtain from it. Precisely, it is possible to still satisfy your choc-o-tooth without agitating the healthy efforts you make!